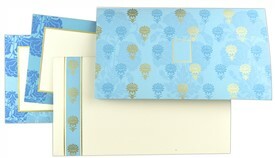 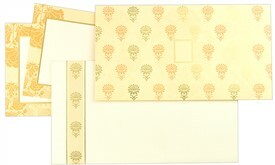 D-1403, Cream Color, Designer Multifaith Invitations. 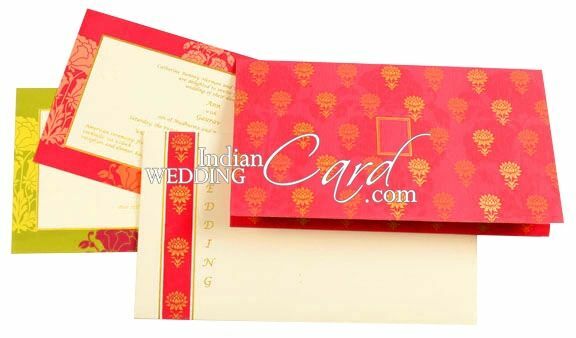 An exquisitely designed card! 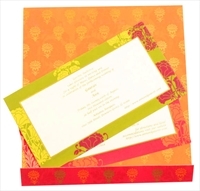 Hot pink, Green and Orange combo gives this card its uniqueness. 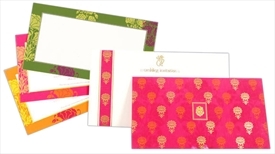 The front has hot pink silk screen ground printed with floral motifs with center window. 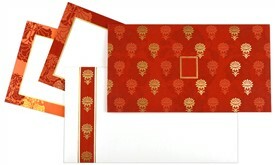 The inside is Orange silk screen ground with golden motifs all over. 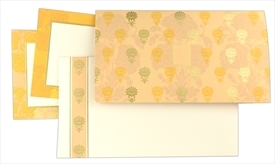 The 2 different color inserts have borders on the edges following the same pattern. 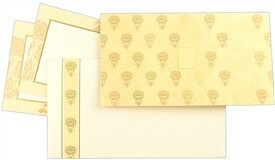 Env to follows the same design and also has orange lining inside.